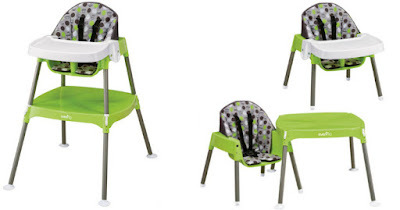 Head over to score this Evenflo Convertible High Chair for only $29.88 (Retail $60). This Evenflo High Chair is a convenient and durable high chair that is filled with value. Featuring three unique seating positions, it grows with baby, to independent feeding. Your child will get years of feeding and fun!